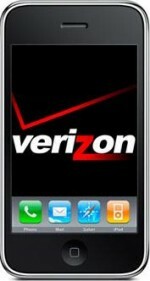 Apple is rumored to be working on an iPhone that will work on Verizon’s Network. How soon will this happen? We are still unsure, but rumors are pointing to the Summer of 2010. It is clear with the network wars between Verizon and AT&T waging on, that Apple could stand to greatly increase iphone sales by ending their exclusivity with AT&T and being available on both AT&T and Verizon. You will notice that even though Verizon is promoting their Droid smartphone, they are very careful not to bash the iphone, rather choosing to take pop-shots at the AT&T network. Verizon claims more 3G market coverage, while AT&T claims their 3G network is the fastest. Pop-shots or not, Verizon remains the largest wireless provider in the United States, and having the iPhone available on both AT&T and Verizon would certainly be a “big win” for Apple! So when exactly does AT&T’s iphone exclusivity agreement end? This has been an area of much speculation. Online reports seem to converge on a June 2010 end date with rumors that AT&T is negotiating to extend that agreement into 2011 or 2012. Wouldn’t you if you were AT&T? I'm a verizon customer and would buy one right now if they gave me credit for my current phone. I’m a vorizoncustomer and qoulod switch phiones right now ir able and vorison gave me credit for the phone AI CURRE3NTLY HAVE. THE ALTERNATIVE IS TO SWITCH TO ATT. Should I get the iPhone if I own the iPad?